Our Plastic Jumbo Drop in Drink Holder are used to hold drinks at your poker table. This drop-in style is designed to fit into a hole in the table. Our cup holders can be permanently mounted to the table or remain removable from the table. 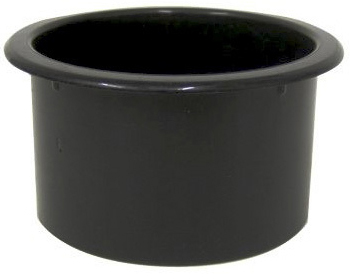 Constructed from ABS plastic, this cup insert holder is durable and retains its luster. 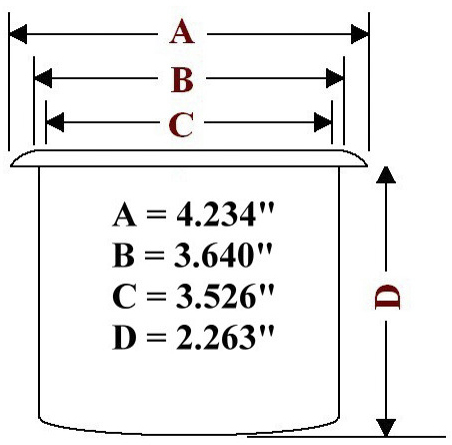 Fits standard glass bottles and aluminum cans. These cup holders are perfect for constructing your own poker table. Two or more holes in the cup holder bottom allow for drainage. This plastic cup holder is durable, lightweight, dishwasher safe and simple to install. Wrap 1 1/2" wide masking tape around the outside of the cup holder to achieve the desired diameter. We recommend you wait until you receive the cup before drilling your mounting holes.